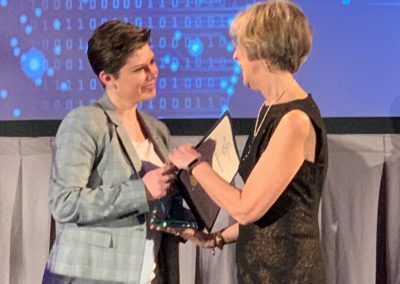 Plantsville, Conn., March, 2019 – COCC’s own Jamie Perry, Vice President, Corporate Risk Management at COCC, was honored Wednesday evening as one of 11 winners at the 15th Annual Women of Innovation Awards held at the Aqua Turf Club. 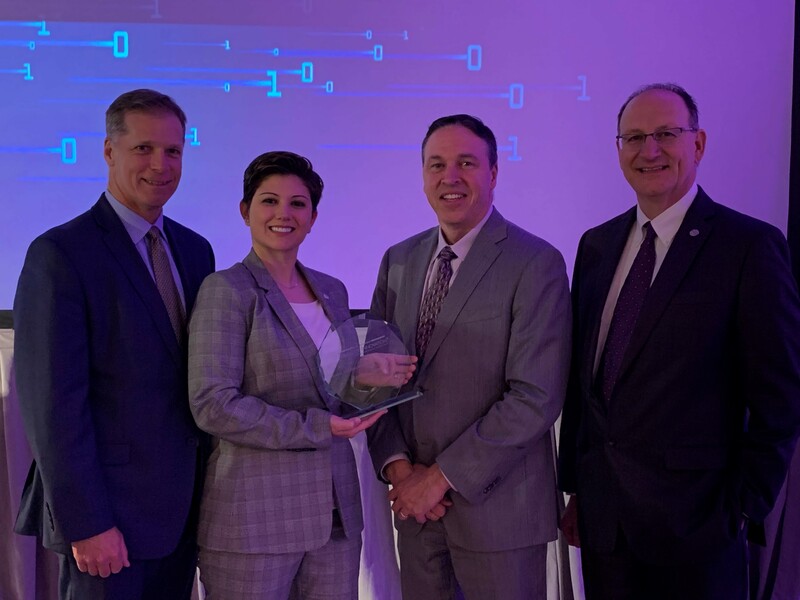 The awards, presented by the Connecticut Technology Council, honored 50 finalists for their contributions in science, technology, engineering and mathematics (STEM). 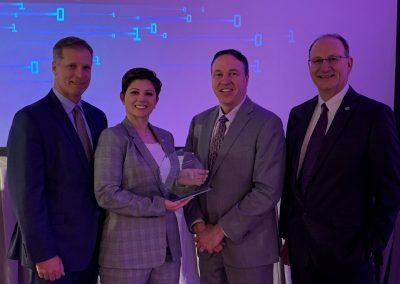 Perry was selected as the top Woman of Innovation from the Large Business Innovation and Leadership category, representing companies with 500 or more employees. In her acceptance speech, Perry thanked her team at COCC for embracing and promoting a culture of diversity, teamwork and collaboration. She also thank the finalists and attendees for supporting and promoting the accomplishments of women in the technology industry. “Today, women hold less than 20% of U.S. tech jobs even though they make up half the workforce. Let’s continue to endorse women in the technology field and foster inclusive and diverse working environments,” Perry stated. In her role with COCC, Perry is responsible for overseeing Enterprise Risk Management and Physical and Information Security programs for the company. In her time with the company, she has also taken the lead in overseeing the development of the Security Operations Center, or SOC, to provide a 24/7 security monitoring solution for COCC clients. Her work includes a roadmap to proactively defend against security threats while using machine learning and orchestration technology to further enhance an institutions security. Perry’s impact stretches beyond corporate risk management. She has also dedicated herself to mentoring future leaders both within COCC and outside of the company. Perry conducted COCC’s first-ever Women in Technology Roundtable, creating a platform for women within COCC to share best practices and collaborate on career growth in the technology sector. Additionally, Perry is a Senior Master Sergeant in the Air Force Reserves, continuing 14 years of service. In her capacity in the Air Force Reserves, she has been actively involved in mentoring the Airmen of the 911th Airlift Wing in Pittsburgh, Penn. Whether at COCC, in the Air Force Reserves or in her community, Perry’s hard work and dedication have made an immeasurable impact on those around her, and this prestigious award is evidence that her peers and colleagues recognize and appreciate that contribution. 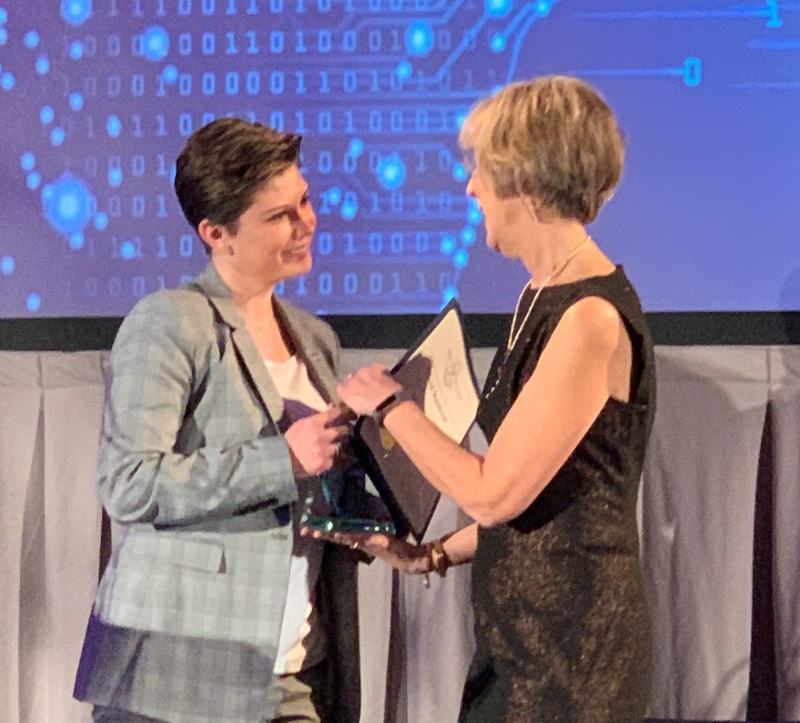 COCC congratulates Jamie Perry for being named a 2019 Woman of Innovation.